The revelation that Danny Welbeck will miss half the season -- days after the summer transfer window ended without Arsene Wenger's buying a single senior outfielder -- prompted anger from Arsenal fans frustrated by the lack of a superstar striker. Olivier Giroud has improved since joining in 2012, but he is unlikely to hit 20 league goals, while Theo Walcott still doesn't look like a reliable out-and-out striker. Arsenal were constantly linked with Real Madrid's Karim Benzema and sporadically with Paris Saint-Germain pair Zlatan Ibrahimovic and Edinson Cavani, yet none of these potential moves were even close, with Wenger keeping a watchful eye on the Benzema situation and making no effort with the other two. This means Arsenal will contest 2015-16 with the attacking options of 2014-15. 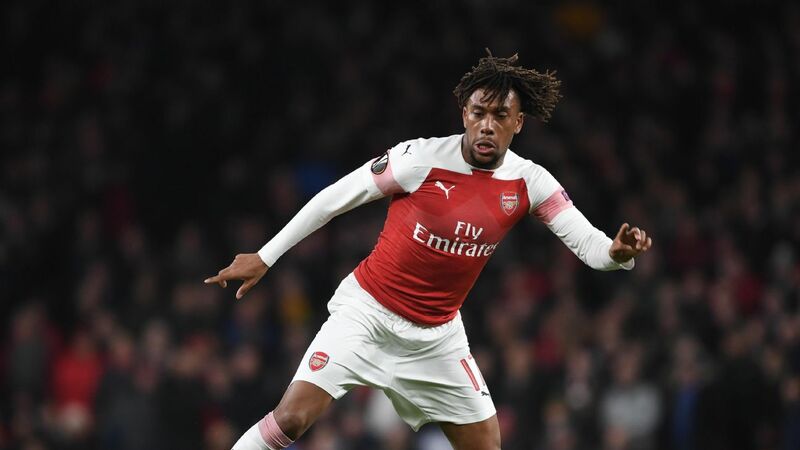 All this would be a disaster if it weren't for the fact Arsenal have, potentially, one of the division's most lethal centre-forwards at their disposal. It's bizarre that the option of playing Alexis Sanchez as the centre-forward hasn't been discussed more. Sanchez spent the second half of the past season playing on the left, but it's worth remembering that last summer he had seemingly been recruited to play as Arsenal's primary striker -- or at least as an alternative to Giroud up front. The Chilean was used in that role a few times, albeit without much success, before Arsenal suddenly decided to sign Welbeck from Manchester United in an uncharacteristic, deadline-day swoop. That signing only happened because Giroud fractured a bone in his foot in the game before the transfer window closed. Had the injury been sustained a week later, Arsenal would have gone into the season with Sanchez as the only realistic option up front and Walcott taking his time to return from injury. 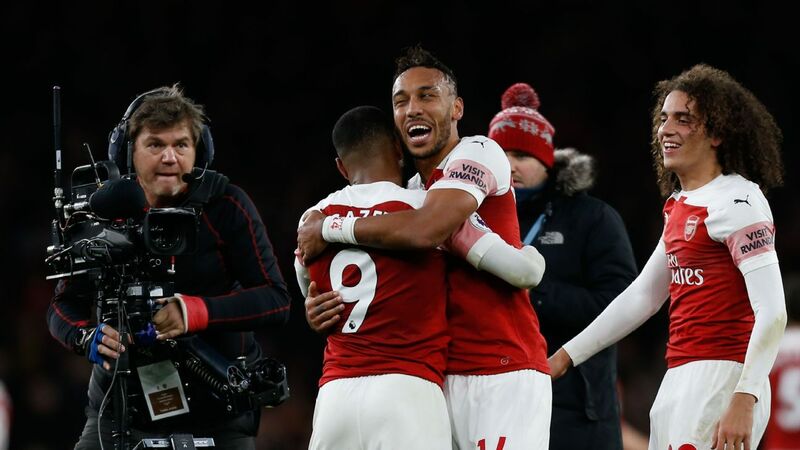 Furthermore, Giroud sustained his injury in the final moments of a goal-scoring substitute appearance at Goodison Park, which helped Arsenal come back from 2-0 down to draw 2-2. Giroud has always seemed an ideal Arsenal Plan B.
Sanchez, therefore, was used in different positions. In his first two months, he was fielded on the right, the left, as the striker and as a No. 10. Because he is such a multipurpose, all-around attacker, he managed to play all those roles effectively. He eventually became a regular on the left, which he prefers, as it increases his goal-scoring threat and allows him to cut inside and shoot -- his shooting statistics, regardless of his position, are heavily biased toward his right foot. But near the end of the campaign, all this made him somewhat predictable, which is a shame considering his all-around game. Sanchez doesn't believe he's an outright centre-forward, and it's noticeable at Arsenal that he frequently comes deep to orchestrate the play, collect the ball between the lines and attempt to provide others with service. However, it's arguable that he becomes involved in play too often, and Arsenal are clearly not short of creative options. If Santi Cazorla and Mesut Ozil are in your midfield, with Aaron Ramsey another option, you don't really need Sanchez dropping back and leading the buildup play too. Instead, you need Sanchez's pace, directness and energy in the final third. Arsenal have always depended on players going in behind the opposing defence -- from Nicolas Anelka to Thierry Henry to Freddie Ljungberg to Walcott. They're most exhilarating when they penetrate quickly and most frustrating when they play in front of opponents. Sanchez should be contributing to the former rather than the latter, and there's a worry Arsenal can turn thrillingly direct attackers into more sluggish ball-hoarders. Many would argue Sanchez isn't a centre-forward because "there's more to his game," but realistically, this argument simply doesn't make sense in this era. Even a decade ago, there would be some logic to this approach, but the vast majority of recent Golden Boot winners have been attackers previously accustomed to deeper roles. Alexis Sanchez' qualities are perfectly in line with those of the Premier League's best modern forwards. Carlos Tevez was considered a No. 10 in his younger days, as was Robin van Persie. Luis Suarez spent time on the flank at Ajax and Liverpool, while Sergio Aguero insisted he preferred playing just behind a strike partner. That didn't stop them from becoming prolific centre-forwards because that position is no longer based around getting on the end of crosses and is more about pace, clever movement and quick decision-making. All four were blessed with those qualities, and if Aguero -- last season's top goal-scorer -- is the template, it's difficult to think of many players more suited than Sanchez. Contrary to popular belief, Arsenal do not have a weak squad. Their backup XI (if Sanchez were to play up front and Walcott on the right with Cazorla and Ozil as the attacking midfielders) would be: David Ospina, Mathieu Debuchy, Calum Chambers, Gabriel, Kieran Gibbs, Mikel Arteta, Jack Wilshere, Alex Oxlade-Chamberlain, Tomas Rosicky, Danny Welbeck and Olivier Giroud. They'd even have perfectly useful players such as Mathieu Flamini and Joel Campbell not getting into this 22-man squad. Of these players, only club captain Arteta hasn't received an international call-up, and only the centre of defence is lacking significant experience at Premier League or international level. No other Premier League club boasts such depth and so many options at every position. If anything, maybe having so many alternatives has become a problem, as Arsenal have consistently not played their best centre-forward in his rightful position. With Walcott failing to take his chance in the 1-0 win at Newcastle, perhaps Wenger might be close to using Sanchez as his centre-forward once again, after a break of nearly a year. Quick, intelligent, hard-working, creative, a good finisher and surprisingly good in the air, a change of position for Sanchez could be -- as Wenger likes to say when players return from injury -- like a new signing.